Hello beauties! 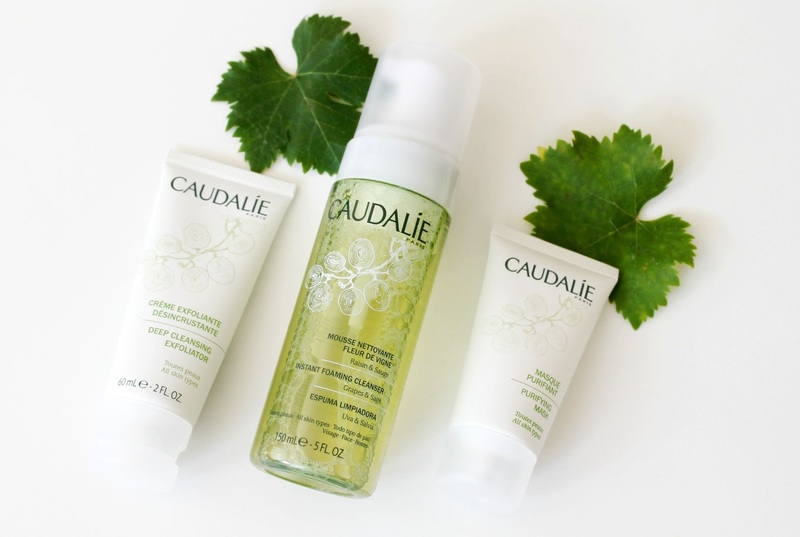 Today I am talking about the Caudalie Grapes & Sage skincare range. 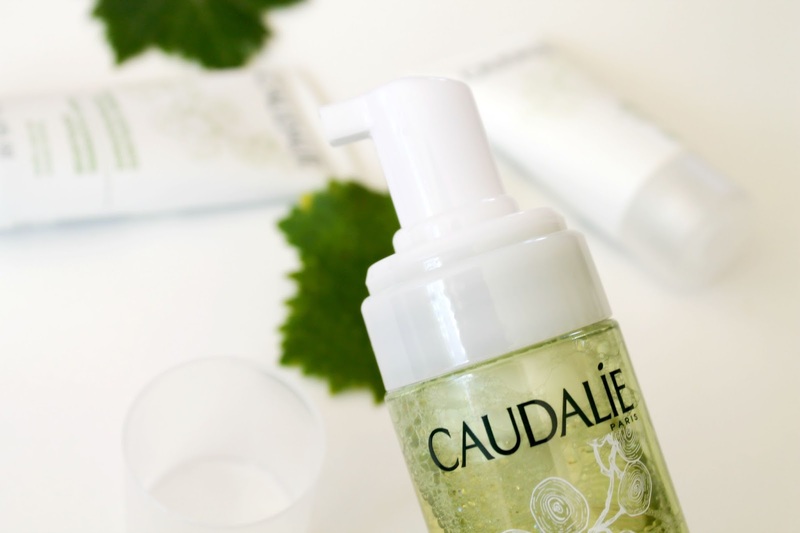 Caudalie is a well-known French bio beauty brand. This is my current skincare regime and I have been using it since a month. I am reviewing the cleanser, exfoliator and the purifying mask (set) which I got as a gift. 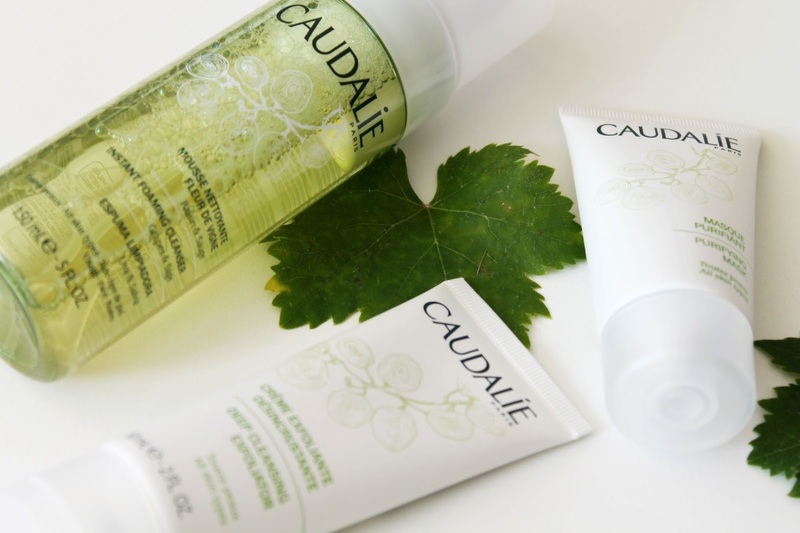 Most of the Caudalie products are based on natural ingredients and contain grape extracts. There are various ranges like Vinoperfect, Vinexpert, etc., for different needs of the skin. The Grape & Sage range is for all skin types.The white and green packaging is very refreshing and aesthetically pleasing. 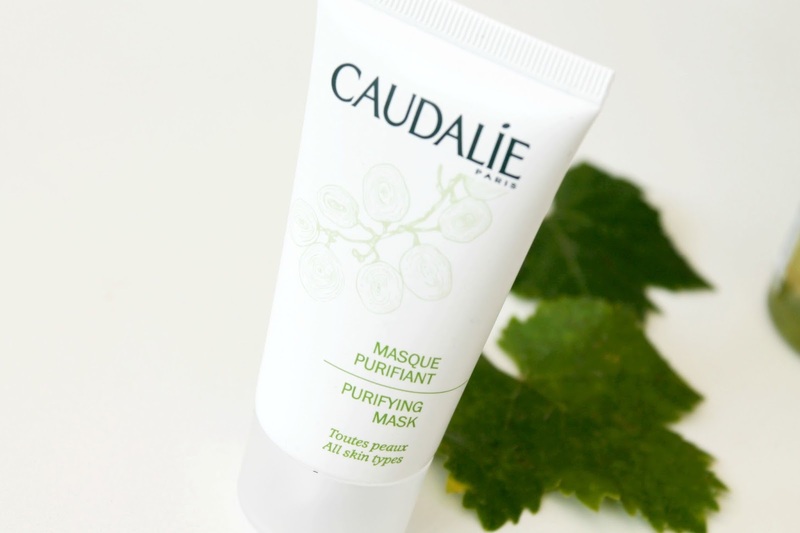 The products are of plant origin and contain principally grapes, chamomile and sage leaf extracts. 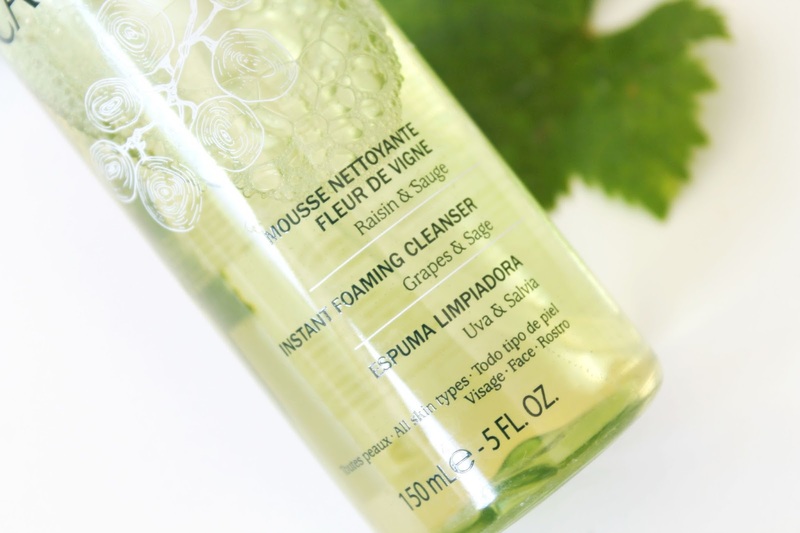 This instant foaming cleanser is soap-free and turns into an airy foam for gentle cleansing. The soap-free formula respects the natural balance of the skin to restore radiance, softness and comfort. 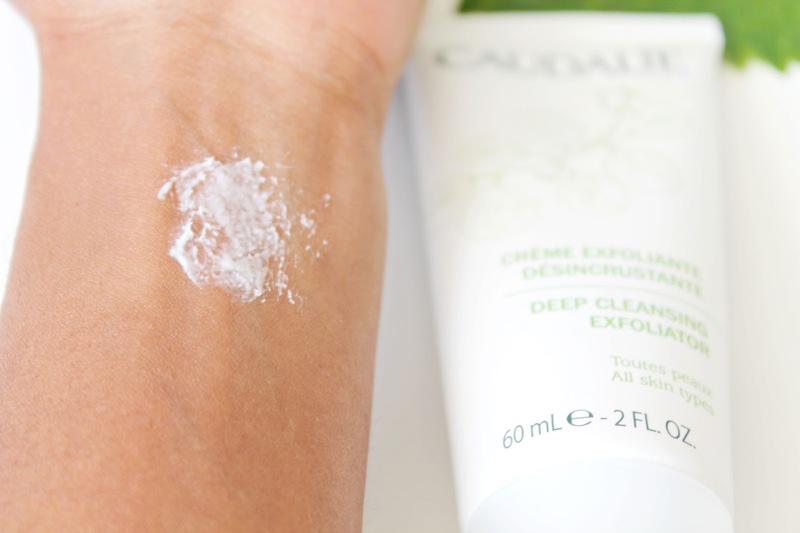 It doesn’t contain parabens, sulphates, mineral oils or animal extracts. 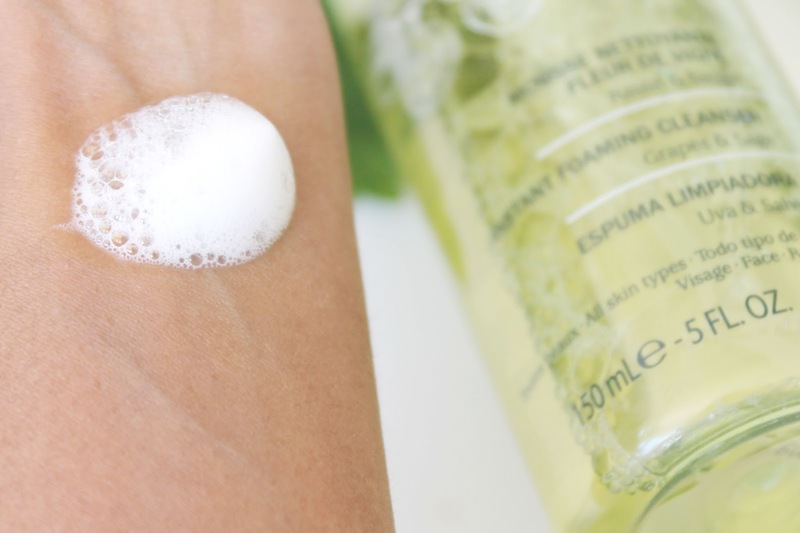 The cleanser comes in a transparent bottle with a pump dispenser. 2-3 pumps are needed for cleansing since it is soap free. 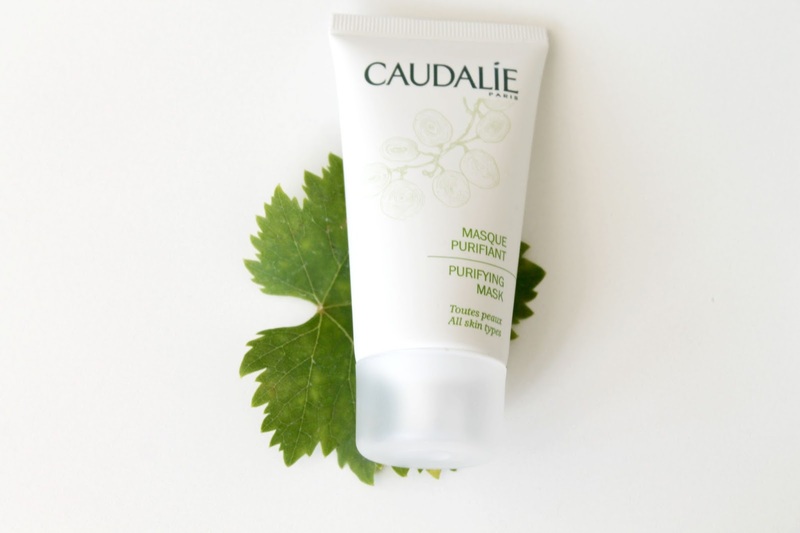 The cleanser is very gentle and gives a clean skin without drying the skin. Suitable for dry to normal skin. The cleanser has a mild fragrance of ‘plant extract’ which is pleasant. Suitable for all skin types, the Deep Cleansing Exfoliator purifies and refines to give clear, smooth, and radiant skin without drying it out. Active ingredients for a multi-action effect. – Exfoliating micro-particles clean the skin deeply and unclog pores. 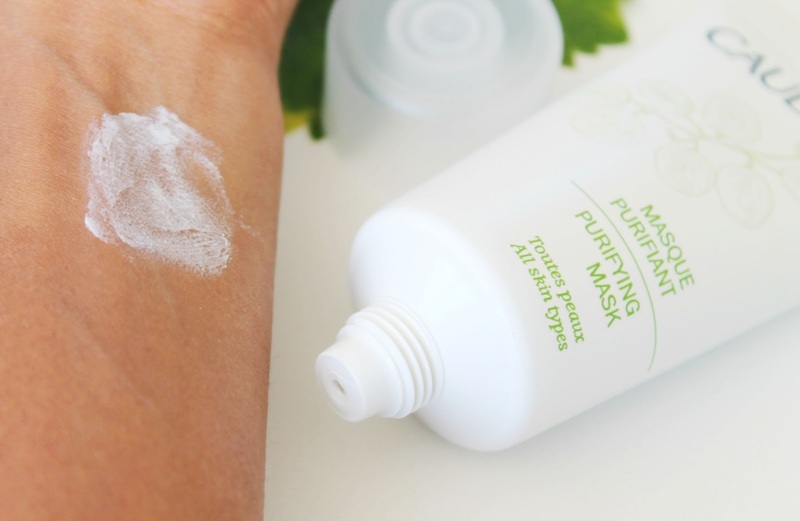 – Grape pulp leaves your skin moisturized, soft and smooth. – Menthol extract creates a feeling of freshness. Its ‘whipped cream’ texture with notes of grapefruit, mint and sweet orange gives you a real feeling of relaxation and well-being. The scrub comes in a tube with flip open cap. I use it twice a week after the foaming cleanser. The micro particles are fine and hard and gives a really clean skin. I feel super fresh after using this scrub. The fragrance is completely different from that of the cleanser. It is more strong and has mild notes of sage. This scrub is an absolute love. This smells strongly of sage and is suitable for all skin types. I leave it for 5-10 min on wet face as instructed. The mask closes pores and tightens skin. It is enriched with sage and grape extracts. The texture is light and creamy and easy to apply. It leaves my skin fresh and clean without drying it. This is the first time I am trying this brand Caudalie and so far I am loving this range. I don’t have even the slightest skin issues since I started using these products. French pharmacy brands are the best for skin care and I am trying to incorporate more of them in my skin care.